In my family, we don’t have traditional family dinners where we all sit around the kitchen table and talk about our day; however, meal time is still an important time of the day for us. My husband works a typical Monday through Friday schedule so he only gets a few hours with my son each evening before bed. We do have supper together each night and talk about our day but we do that on the couch in front of the television. Sure, this may not work for everyone but we enjoy our time having a more casual meal, watching a show together, laughing and talking about our day. Despite not sitting at a table without distractions, my son still finishes his meals. It may not work for everyone but it works for us. A family dinner doesn’t have to be traditional to be special! My son is a fairly picky eater but his favorites are chicken, carrots and broccoli. People often ask me how I get him to eat so many vegetables but the truth is that he really loves them! It has helped my husband and I become healthier eaters as well. There are still many nights that I make my son a separate main dish from what my husband and I are eating but that’s okay by me as long as it’s healthy. For instance, my husband and I love this delicious Cowboy Quesadilla but my son prefers his meal plain with the chicken, broccoli and carrots all separate. This is really easy to make and it works great with leftover chicken. My husband cooked a large batch of chicken a few days ago and put it in the freezer for a future meal. 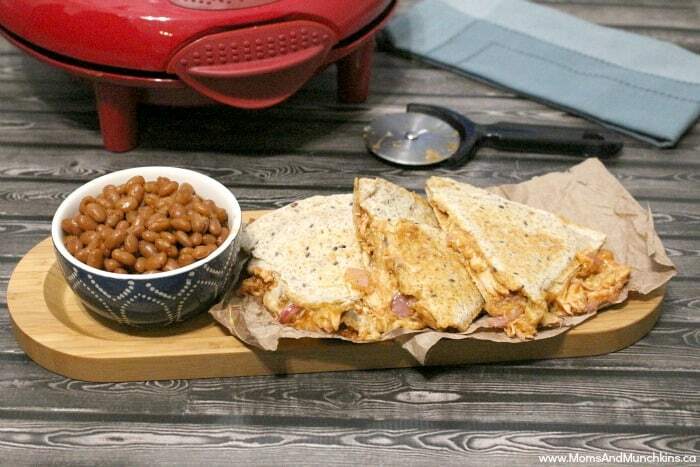 To make this Cowboy Quesadilla, I simply added some of the frozen cooked chicken to BBQ sauce and added some sliced red onions. Boil this on the stovetop for a few minutes (stir often as BBQ sauce burns easily) then add it to a tortilla, top with mozzarella cheese and a second tortilla and grill in a frying pan or quesadilla maker until slightly browned and crispy. 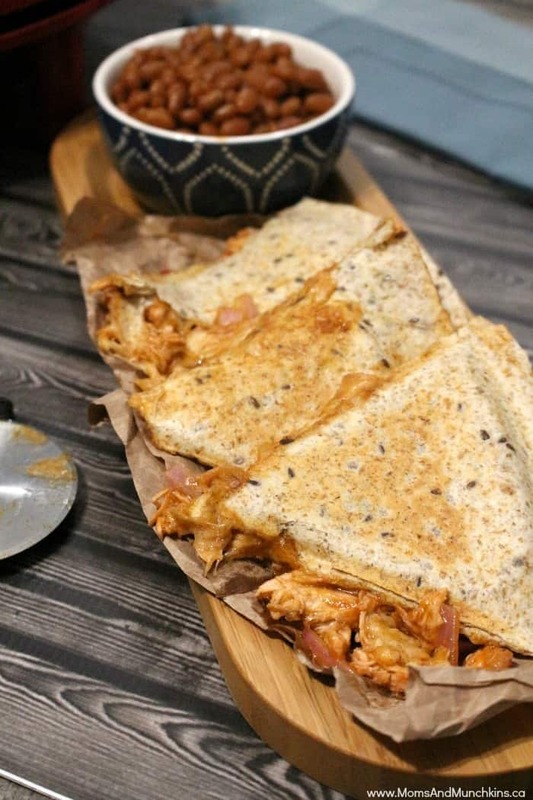 No quantities for this recipe as you can add as much chicken and cheese as you’d like but don’t go overboard on the sauce or it will all fall out of the tortilla and you’ll have quite the mess to clean up after! Baked beans and steamed vegetables make an excellent side dish. Although our family dinners are more casual, I still plan out all of our meals and make time for preparing those meals each day. We eat at home 99% of the time and very rarely order food in. With my son’s allergies and our healthier eating lifestyle, take-out doesn’t have much room on our menu. Need help planning your menu and grocery shopping list? The Chicken Farmers of Canada have a great grocery list app that allows you to look through chicken recipes, add the required ingredients to your shopping list and choose from over 350 common grocery items to add to your list. It’s a great way to stay organized both for meal planning and grocery shopping. When shopping for your chicken, make sure to look for the “Raised By A Canadian Farmer” logo on the packages. 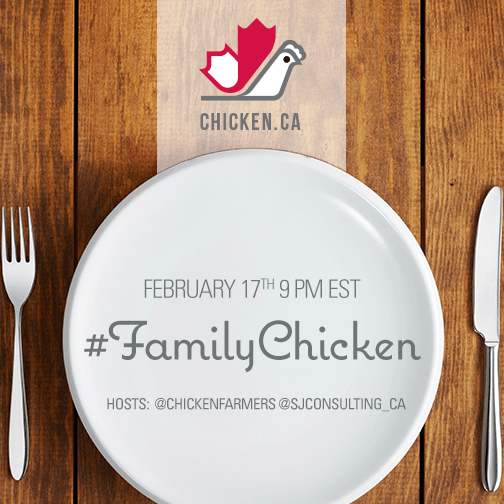 The Chicken Farmers of Canada have made this easy to spot and you’ll have confidence in your selection knowing where it is coming from and how it was raised. This looks awesome. My boys and I love quesadillas. Do you think this would work as a freezer meal? I’m working on freezer meals for lunches, dinners and quick grab snacks for my boys. Hi Dianne! The chicken, BBQ sauce and onions would be great as a mixture in the freezer. I’d recommend only adding the cheese and tortilla when you’re ready to eat it. For a quick snack for your boys without having to turn on a frying pan or quesadilla maker, simply heat the chicken mixture in the microwave, then add the cheese, chicken mixture and tortilla and eat it as a burrito instead. I hope you enjoy it! Looks delicious! My girls are picky too and about the weirdest things! My youngest loves veggies, but hates having sauce on anything. She’ll eat chicken but it has to be plain. She even goes as far to scrape any sauce off with her fork lol. I still try though! Thank you, Stacie! Yes, my son is very particular about his food too (no sauce, cheese and bread separately but not together in a grilled cheese, etc.). I’m hoping he outgrows it with age because he’s missing out on so much delicious food! Oh man, these look delicious! I think everyone in our house would love them! This looks like such an easy and fun meal to make. I was just wondering, how did you cook the chicken before? Grilled/ baked? My kids would love these but I can’t seem to find the recipe? These look delicious! I would love to make them. Hi April! It’s between the 2nd & 3rd picture. 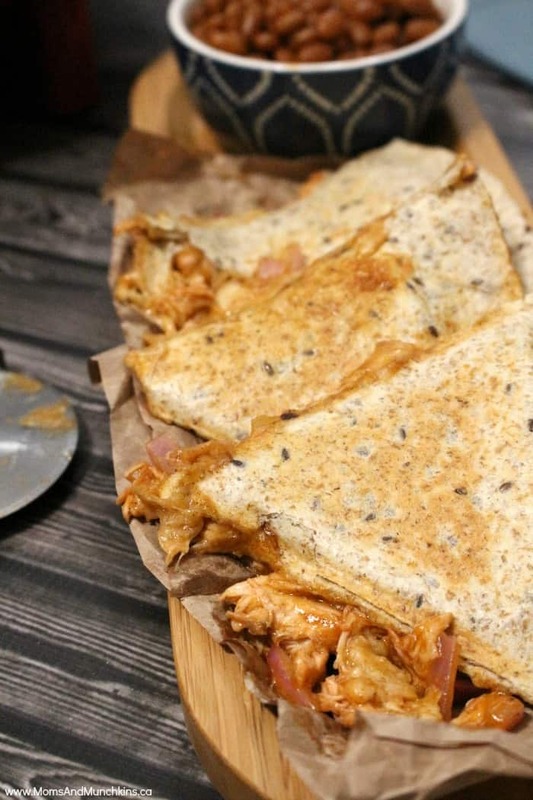 Not in a typical printable recipe format – just BBQ sauce, red onions, cheese and chicken between the tortillas. You’ll see it in the paragraph between those two photos.